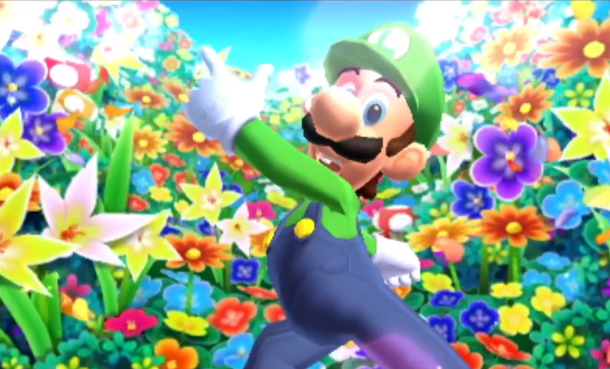 As part of what Nintendo is calling “the year of Luigi,” a year-long celebration of the other plumber brother, Luigi will be appearing in the brand new Mario Golf: World Tour for the 3DS. Presumably, he’d be in it regardless of the year, but we’ll throw Nintendo a bone this time. This will be the tenth entry in Nintendo’s Golf series, which hasn’t seen a new release since Mario Golf: Advance Tour in 2004. We have no information regarding what 3DS features will be implemented in the game, but Nintendo has stated that players will be able to choose between a simple control scheme or a more complex, full-featured one. Based on the trailer shown in the Nintendo Direct video this morning, we know Mario, Luigi, Wario, Waluigi, Donkey Kong, and a very sassy Bowser will all be hitting the links sometime this summer. It’s a safe bet that we’ll be seeing much more of Mario Golf: World Tour come E3 in June, but in the meantime, you can watch the trailer and the rest of today’s Nintendo Direct here. Brodie is an amateur writer schlepping his way through school and towards the film and video game industries. He joined oprainfall as an author, but quickly chiseled out his niche on the graphics team. When he's not playing Kingdom Hearts or Fire Emblem, chances are he's watching British sci-fi.